Concise details on the Walking Gardon Gorge tour can be obtained by downloading the tour pdf [right]. Alternatively, read the tour description below and click through the sub-headings in the left-hand column for information on access, accommodation, availability, content and prices. alking Gardon Gorge sees you following the valley created by one of France’s most enigmatic rivers. You hike from the Cevennes foothills, across Mediterranean Garrigues and into deeply-incised limestone canyon. You discover its multi-faceted history as you follow an ancient Roman hill-top trail to Le Pont du Gard – France’s second-most-visited cultural icon. You approach it from a trail known only by the cognoscenti and enjoy some views that few ever get to see. Then follow the aquaduct’s ruins to a nearby village from where the rock used to build ‘Le Pont’ was originally hewn. Your learning curve acquaints you with two millennia of history along the ‘Gardonnenque’ Valley. The human and physical geography of the Garrigues and the Gorge is writ large. Like the River itself, you meander through the sun-drenched sandy and stony soils of greater Nimes and its Costiere region. Some of France’s best regional wines (IGPs) are produced here on domains dating back to Roman times. The latent botanist will be rewarded by camomile, cacti and fig, alongside the omnipresent and traditional olive and vine. Walking Gardon Gorge finishes in Uzès, The First Duchy of France. This jewel of a town is home to the Region’s best Saturday-morning market. Aficionados may like to plan their tour so departure day is on a Saturday afternoon or Sunday in order to enjoy this colourful spectacle. Certain dates in the 4-star Collias hotel are subject to a €30.00 euros/£27.00 GBP supplement per person per night. Please ask us for details. 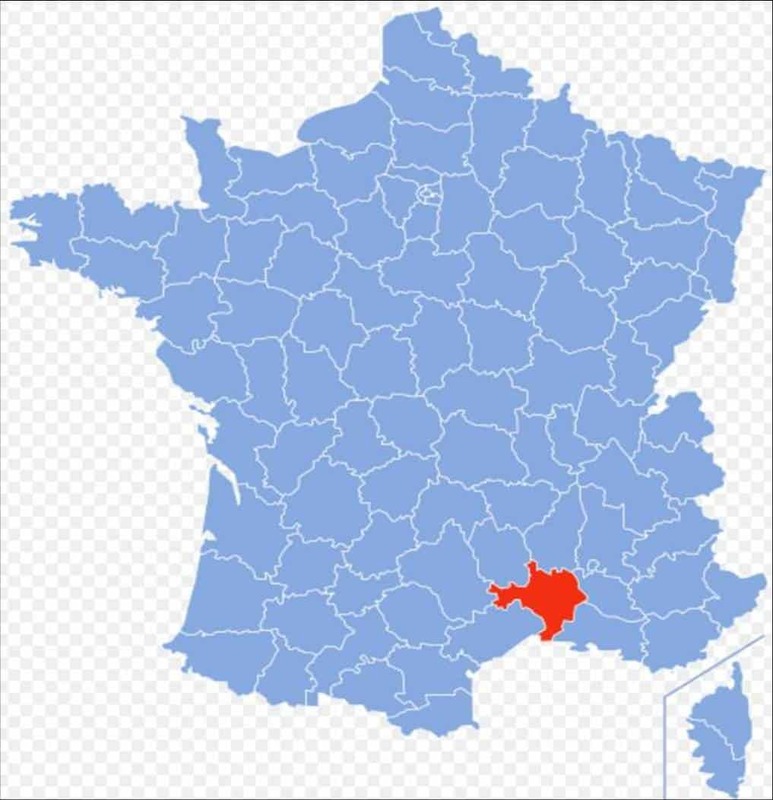 Visit Uzès – First Duchy of France. We transport your luggage (and you) whilst you just carry a day pack. Best access is via Nimes airport or SNCF station [4 hrs on TGV from Paris or Lille] with 40 min. onward journey to Ales – where your taxi awaits to transfer you to Vezenobrès. Other convenient options are via Lyon or Montpellier airports, with onward TGV to Nimes – 60 and 30 minute journeys, respectively. Alternative access is via Clermont-Ferrand airport or SNCF station [regional rail link with Paris], with onward journey on Le Cevenol to Ales in 4.5 hours – please ask for details. High accommodation standard throughout, with double or twin beds and en suite facilties. Walking Gardon Gorge – Tour Itinerary. Day 1: Arrival in Alès and taxi to Vezenobrès (transfer included in the tour) – a fine medieval village in the foothills of Cevennes – 2* hotel. [4½ hrs, 7½ miles-12 kms, +60ms/-85ms]. The Roman trail laces together four fine villages and a remarkable fortified hamlet. Each oozes character and history as you enjoy the peaceful, scenic garrigues at its best. Collection late afternoon and transfer to your overnight accommodation. Second night in Vezenobrès (or night in a fine chambres d’hotes in Brignon, near Moussac). [5½ hrs, 10½ miles-17 kms, +55ms/-60ms]. Transfer back to Moussac after breakfast. You enjoy a leisurely walk across the scenic Gardonnenque followed by a gentle climb into the dry, limestone Garrigues. Then descend to pictureque Russan perched at the entrance to the Gorges du Gardon. Night in a chambres d’hotes in Russan. Picture-postcard Russan enjoys a fine vantage point over the Gardon. In summer the river is subterranean. Castellas offers a classic, vertiginous U-bend and cliff-face and the ridge to the bridge is enchanting. Collection from Pont St Nicolas and transfer to Collias. Night in Collias in a 4-star hotel. After breakfast transfer back to Pont St Nicolas and descent into the deeply-incised gorge. We visit La Baume featuring La Chapelle St Vérémède, Grotte de la Baume and the ruins of le moulin de la Barque. From here the trail oscillates between limestone causeway and wooded path that hugs more closely to the cliff. excluding exploring the aqueduct itself]. The Pont du Gard: 49 ms in height and 275 m (300 yards) long. You have earned the right to walk its sacred stones and then follow a fascinating trail that unravels a few more of the mysteries that surround this marvel of architecture, human ingenuity and science. Late afternoon transfer to Uzès from collection point and night in the historic First Duchy of France. Enjoy a half-day bucolic hike around the Uzès hinterland in search of the source of the waters that fed the Pont du Gard and supplied Roman Nimes with water. This can be done in the afternoon if visiting the Saturday morning market. Day 8: Departure day – although there’s plenty to enjoy if you want to stay for an extra day/night.